Quality Filipino products are now being sold at the Duty Free Fiestamall, previously a haven of imported and luxury brands. 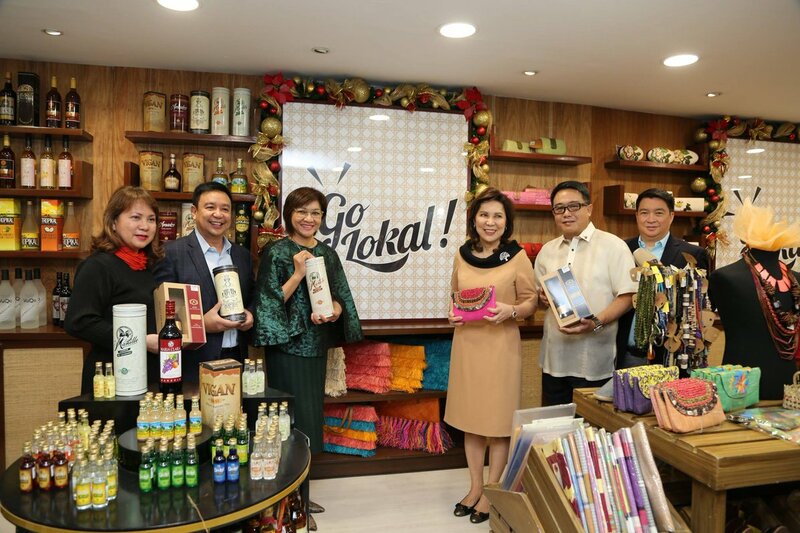 This developed as the government-owned Duty Free Philippines Corp. (DFPC), in partnership with the Department of Trade and Industry (DTI), last week launched “Go Lokal!,” a retail-concept store showcasing quality products created by Filipino micro, small and medium enterprises (MSMEs). In a news statement, Tourism Secretary Wanda Corazon T. Teo, speaking during the launch of the retail concept store, applauded the DFPC and the Department of Trade and Industry (DTI) for spearheading the promotion of Filipino culture and industry. “As a government agency, we have a responsibility to promote the best from our local entrepreneurs, and the biggest help we can extend to our MSMEs is by showcasing the talent and skills of the Filipino,” she said. DFPC is a government-owned and -controlled corporation (GOCC) under the Department of Touristm (DOT). DFPC COO Vicente Pelagio A. Angala underscored the role of Go Lokal! in making Filipino products known in the international market, as well as in helping local start-ups and small businesses. “This partnership will help us realize our vision of showcasing the Filipino culture to the world, and contributing in the government’s effort to revitalize the country’s heart [sic],” he added. Go Lokal! also helps the DFPC stay true to its objective of being the ultimate top-of-mind destination for pasalubong shopping for both local and foreign visitors, Angala said. The Go Lokal! store features products crafted by artisans across the country, ranging from snacks made from local ingredients, to home décor, toys, work-study essentials, such as backpacks, journals, desk organizers made from indigenous materials, to clothing and local textile-based fashion accessories like shawls, stylish purses and shoes. “To the men and women who have been involved in this project, and to our local entrepreneurs who will get to showcase their products, may this day mark the beginning of a very successful venture— one that the DOT will support,” Teo said. The opening of Go Lokal! was also attended by DTI Undersecretary for Management Services Rowel S. Barba, DTI Undersecretary for Trade and Investments Promotion Nora K. Terrado and DFPC Deputy General Manager for Operations Bernardine R. Belmonte. The DFPC was established through Executive Order 46, which was signed on September 4, 1986. This granted the then-Ministry of Tourism, through the former Philippine Tourism Authority (PTA), the exclusive authority to establish and operate a duty- and tax-free merchandising system in the Philippines, for the purpose of augmenting the service facilities for tourists, and to generate foreign exchange and revenue for the government. Under the Tourism Act of 2009, the DFPC was reorganized, and mandated that 50 percent of its net income accrue to the DOT for tourism-related projects. Of this amount, 70 percent is remitted to the Tourism Investment and Enterprise Zone Authority, formerly the PTA, a GOCC under the DOT, as well. In 2016 DFPC recorded a net income of P164.21 million, down 16.8 percent from P197.27 in 2015. Audited financial figures for any period in 2017 have not been made available by the corporation. Aside from the Fiestamall in Parañaque City, other DFPC stores are at the Ninoy Aquino International Airport terminals in Pasay City; the Mactan International Airport Arrival and Departure Outlets, and Cebu Waterfront Hotel in Cebu; the Davao International Airport Arrival and Visitors Center Outlets in Davao City; the Laoag International Airport in Ilocos Norte; the Newport Mall in Resorts World, Pasay City; the Kalibo International Airport Departure and Arrival Area in Aklan; the Clark International Airport Pre-departure and Arrival Area in Pampanga; the Iloilo International Airport; the Market Mall Store in Palawan; the Laguindingan International Airport in Cagayan de Oro City; and the Bacolod-Silay International Airport in Negros Occidental. Next articleJapanese’s famous multi-brand ‘Atmos’ opened its first store in Korea.